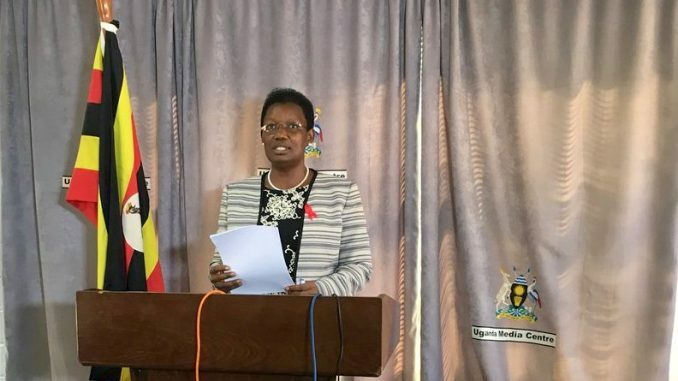 KAMPALA – The Office of the President has been left with the challenge of fighting off the over UGX100b budget shortfalls after the Treasury rejected most of the budget requests the entity had proposed in the 2019/2020 budget. While presenting the ministerial policy statement before the Presidential Affairs Committee on Wednesday, April 10, Ms.Esther Mbayo who led her team highlighted a number of unfunded priorities the institution is set to face in the coming financial year. The minister told the Committee that whereas the ministry asked for UGX9.5b to evaluate the performance of government programmes produced, conduct an impact evaluation report on Operation Wealth Creation and an impact evaluation report on Youth Livelihood, only UGX3.5b was allocated leaving a gap of UGX6b. The ministry also requested for UGX4.8b for the implementation of the manifesto and how the commitments monitored in 135 districts and only approved was UGX2.8b leaving a shortfall of UGX2b. For the Cabinet support, the projection was UGX4.25b but only UGX3.1b was approved leaving funding gap of UGX1.15b and the UGX12b to be used by RDCs to monitor Government projects was reduced to UGX6.5b leaving funding gap of UGX5.5b and the celebrations of three national functions including Independence Day celebrations, NRA Victory and Heroes day stand in jeopardy after the UGX1.9b budget was rejected in its totality. The ministry is also looking at purchasing 165 double cabins pickups for RDCs that require UGX25.4b and only UGX4.5b availed leaving gap of UGX20.19b while the Operationalization of new districts that would cost UGX53b was rejected and office accommodation of RDCs that was meant to cost Shs7Bn has only received funding to a tune of UGX700m leaving funding gap of UGX6.3b. To follow through with its Patriotic and Nationalistic lessons, Government is seeking for UGX5.9b to be used for participant’s accommodation and dining facilities built at National Leadership Institute but none has been availed yet the same money would be used for the establishment of patriotism clubs in secondary schools and tertiary institutions, patriotism activities monitored as well as double cabin pickups purchased requested for UGX7.15b and none availed.